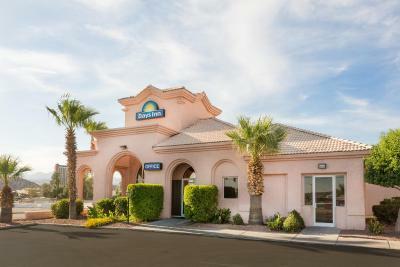 Lock in a great price for Days Inn by Wyndham Bullhead City – rated 8 by recent guests! It was a really nice place to stay. Shower pressure was really good. Room was very clean and liked the breakfast selection. Breakfast was great, and staff was extremely friendly and welcoming. The bed was surprisingly comfortable. Breakfast was good, all-around the stay was very good for the price. Affordable. Hot tub was decent but not top of the line. Staff was friendly. The front desk clerk was really nice and helpful. & their breakfast was good. We were happy with the room. The bed was firmer than I like them but my girlfriend liked it. The room and furnishings were in good condition, and included a refrig, microwave, and iron and ironing board. The breakfast was better than I expected because in addition to cereal, bagels, a choice of juices and coffee, and a do-it-yourself waffle maker, there were pre-made scrambled eggs and sausage links (both of which were good). The staff was friendly. Little interaction but it was nothing to complain about. Nice clean room, though cluttered with unnecessary furniture like all these Days Inns. Days Inn by Wyndham Bullhead City This rating is a reflection of how the property compares to the industry standard when it comes to price, facilities and services available. It's based on a self-evaluation by the property. Use this rating to help choose your stay! A year-round outdoor pool is available for guest use at this Laughlin area hotel. 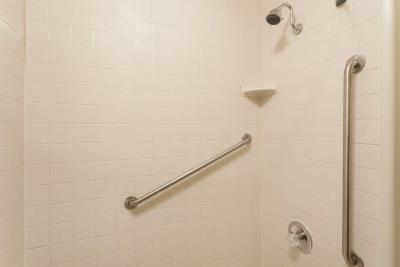 A continental breakfast is provided daily and guest rooms feature free Wi-Fi. Harrah’s Laughlin is a 10 minute drive away. Cable TV is available in all rooms at the Best Western Bullhead City Inn. A microwave and coffee-making facilities are also included. Free toiletries are provided. A hot tub is available for guest relaxation at the Bullhead City Best Western Inn. 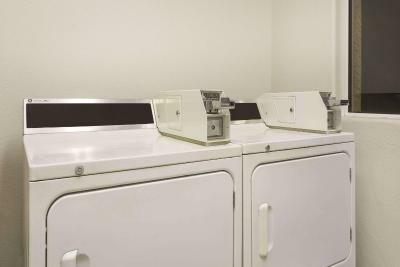 A 24-hourfront desk and laundromat are both available for guest convenience. The Colorado River is less than a mile from the hotel. Davis Dam is a 10 minute drive away. This property also has one of the top-rated locations in Bullhead City! Guests are happier about it compared to other properties in the area. This property is also rated for the best value in Bullhead City! Guests are getting more for their money when compared to other properties in this city. 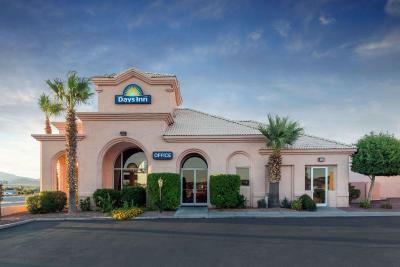 When would you like to stay at Days Inn by Wyndham Bullhead City? House Rules Days Inn by Wyndham Bullhead City takes special requests – add in the next step! Days Inn by Wyndham Bullhead City accepts these cards and reserves the right to temporarily hold an amount prior to arrival. Please inform Days Inn by Wyndham Bullhead City of your expected arrival time in advance. You can use the Special Requests box when booking, or contact the property directly using the contact details in your confirmation. Asked for 1st floor but got 2nd. There was no elevator for elderly parents to use. Mixup with reservation. Had two rooms with single queen beds and sofa bed. Was wanting two queen beds in both rooms. The check in was nice and welcoming. The room had a very strong cigarette smell. Place needs update, paint on stairs peeling, toilet stopped working. Our room smelled strongly of stale smoke. Our internet was down, which was inconvenient, but I understand that that sort of stuff happens. The man hosting the breakfast came out and announced that breakfast was over at 10:00am, and had everything cleaned up and put away by 10:06am. We had just finished but Jeez! I liked the area for convenience. Very good value for the money spent.